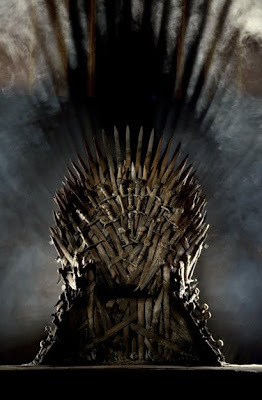 Lexicopia: Fourth teaser trailer for Game of Thrones! I think that, of the four teaser trailers released so far, this may be the best one yet. The shots of the lead characters seated on the Iron Throne are chilling! And if that wasn't enough for you, here's a beautiful shot of the Iron Throne itself.